Mr. Winkelmann graduated with a B.A. in Spanish and Communications from Missouri State University. As an undergraduate, he studied abroad in Quito, Ecuador and after graduation, he spent a year in Guayaquil, Ecuador as a missionary for a Catholic organization called Rostro de Cristo. He joined the St. Mary’s High School faculty in 2009, where he serves as Head Coach for the Wrestling program. Mr. Winkelmann wrestled in High School, co-led Missouri States Wrestling club and has served as a Missouri State Wrestling official. Coach Mirikitani joined the Wrestling coaching staff in the 2014-15 season. He began his career as an educator at Meramec Community College as a professor of PE, teaching Judo and Karate, as well as Personal Defense and various Fitness classes. Coach Mirikitani coached at Meramec for 39 years and had over 450 team wins under his belt. He has produced 8 National Champions, 68 NJCAA All-Americans, 231 National Qualifiers, and 23 National Team members who have represented the U.S. in international competitions. Many different organizations have recognized Coach Mirikitani's work and dedication. He has been inducted into the NJCAA Wrestling Hall of Fame, the U.S. Martial Arts Hall of Fame, the Universal Martial Arts Hall of Fame, the National Judo Institute Hall of Fame, the Missouri USA Wrestling Hall of Fame, the National Wrestling Hall of Fame, the University of Central Missouri "Hall of Legends", the Meramec Hall of Fame, among many other recognitions. Coach Mirikitani is happily married to his wife, Jan, and has developed new priorities in life with the addition of his three grandchildren. 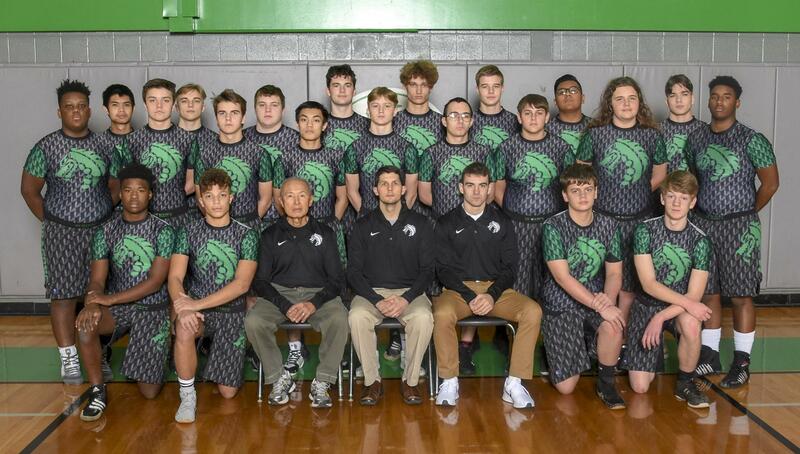 The St. Mary's High School wrestling program began in 2009 after a group of students advocated for a team. The first St. Mary's High School wrestling team boasted 20 participants. In only their second year, St. Mary's wrestling team went on to win the AAA Conference Championship and qualified for the State Tournament.